One of the joys of looking for beauty in the small things.....a wee posy to brighten your day lifts the veil of gloom. They are the sweetest little flowers in the garden....next to roses of course! Thanks for sharing Deborah! What an encouraging post....I love that verse too. Yesterday we went grocery shopping and found Cocoa puffs cereal, Oreo cookies, and real Gouda cheese. My 3 children begged my husband and I to buy these 3 things (so we relented and did because they are normally unavailable here in Brazil). Living here in Brazil is sometimes hard for me being so far from everyone dear to me and from the U.S. My 8 year old sat at the table nibbling on little pieces of Gouda that she had cut. She said, "God really blessed us today didn't he, Mom"? Not one, but 3 things we love and never normally get He gave us today---and the Bible does say Every good thing comes from God, so I am thankful, Mom." With tears in my eyes I had to agree with her wisdom:) It was a great reminder for me. Have a wonderful weekend...and remember good things are coming. And that every good thing you have already, is from him too. What a pretty find and I love your message too! This is a lovely post. The delicate Lily of the Valley, and the sweet reminder. A beautiful and heart felt post!! Hi Deborah, I love lily of the valley flowers and I have them in my garden too! I hope they cheer you up! Have a Happy Memorial Day tomorrow. Indeed, life's happiness is often to be found in the little miracles around us. We only have to use our eyes and look for them. It's not always about the big things and events! Wishing you a happy new week and strength for getting over whatever you need to digest. God does send his special blessings just when we need them! Love when he extends his grace in very tangible ways. There they were, those fragrant little fairy bells, just waiting for you to notice them. I look forward to bringing in a bouquet of them myself soon. What a joy when we discover those gifts that our Father leaves us tucked away purposely so that we may seek Him. Too many times we're so distraught that we miss them. Glad the bells found their way to you. Let them ring and sing a new song, and may that melody linger in your heart for a very long time. 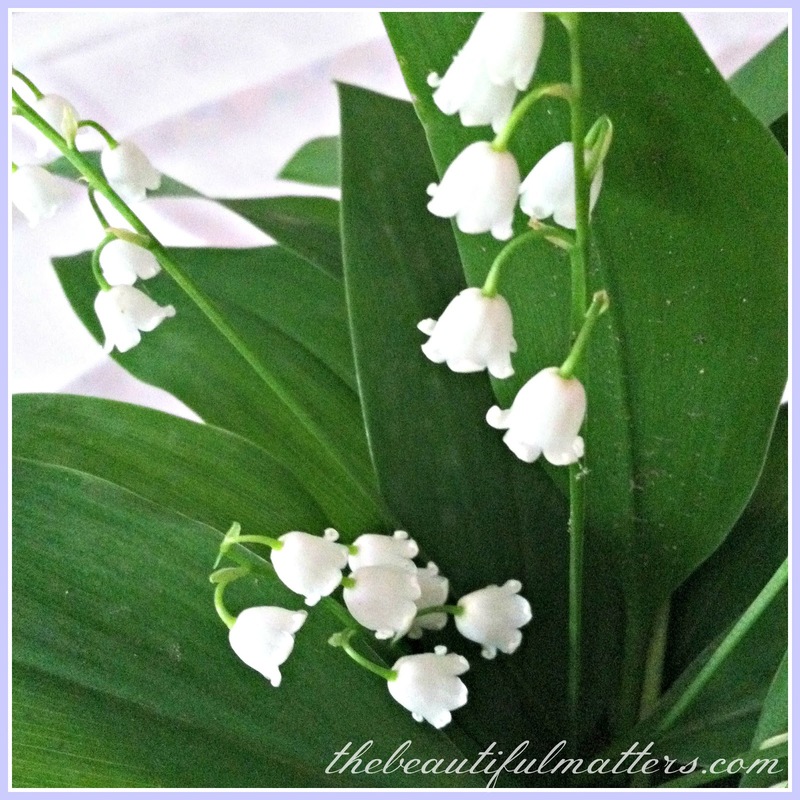 I absolutely adore lilies of the valley, so perfectly tiny and beautiful! A lovely post today. Lily's of the Valley are wonderful. I talked about them in my post today too. What a beautiful post Deborah. So touching and heartfelt. Beauty is all around us, we just need to slow down and look around us to find it. So glad you got to share with your son. That is such a blessing. 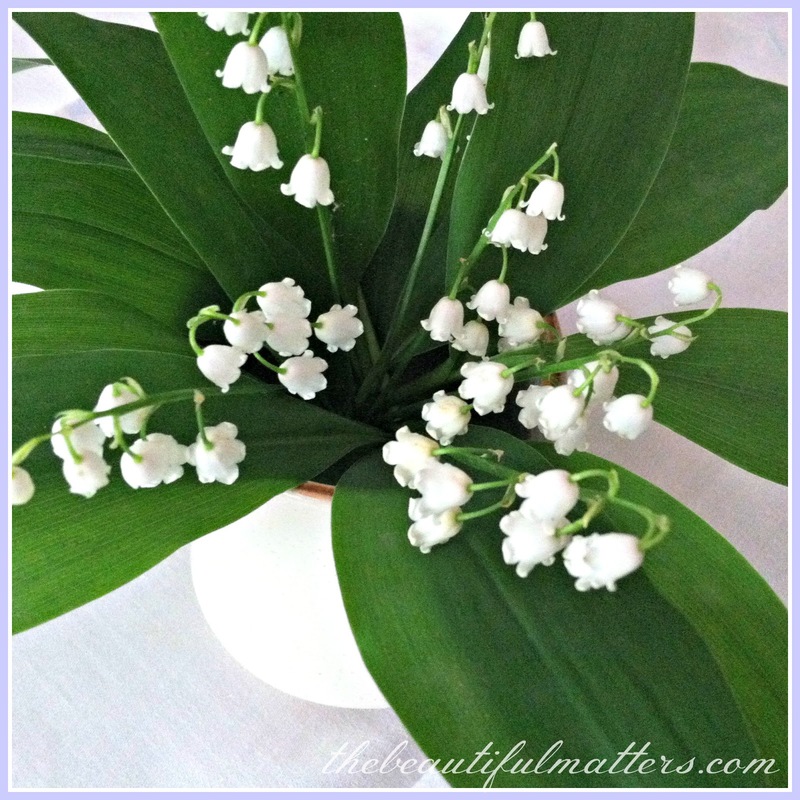 Your Lily's of the Valley are a precious find. Yes, gentle joys...how lovely. It is the small things that can bring the greatest pleasures. 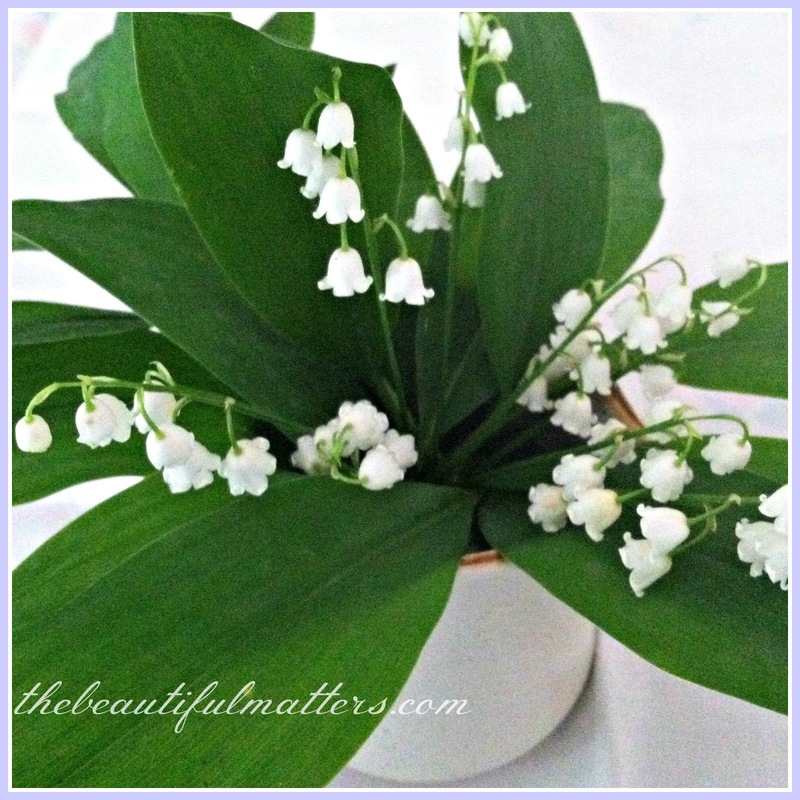 I have fond memories of picking Lily Of The Valley as a little girl. We lived beside an old Victorian home that had been sadly, turned into apartments, and around one side of that old house grew bunches of these sweet little flowers. I remember picking them by my little handfuls and bringing them to my mother. Thanks for bringing back a sweet memory. What a wonderful surprise, Deborah,to find the lily of the valley. I'm sure your house with filled with such a delightful fragrance. I had them in Ohio, but not here in Texas. How sweet are these flowers! They will always be a favorite. I was sad when my first son graduated but, he still lives here and goes to college. It would have been hard if he moved away. This is a bittersweet time in life at this age. Still so much life but you then realize it will be full of new routines.